Bronzing my face has become an everyday must for me. That bit of warmth does wonders for my complexion. It not only beautifully defines certain areas, but bronzing also gives my face an overall healthier appearance. 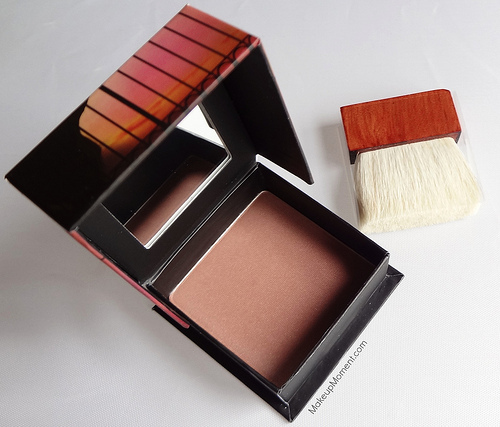 I bronze all year round with my favorite powdered bronzers, but I must say, when it comes to bronzing in the colder winter months, I have to be careful not to apply a bronzer that is too orange in tone, or otherwise it will look a bit unnatural and obvious against my winter pale skin. 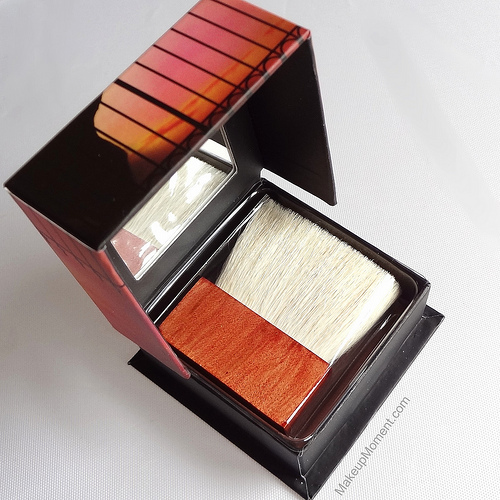 Alas, I was in desperate search of a neutral, muted down bronzer that would not only be perfect to sport for the colder months, but the warmer ones as well. 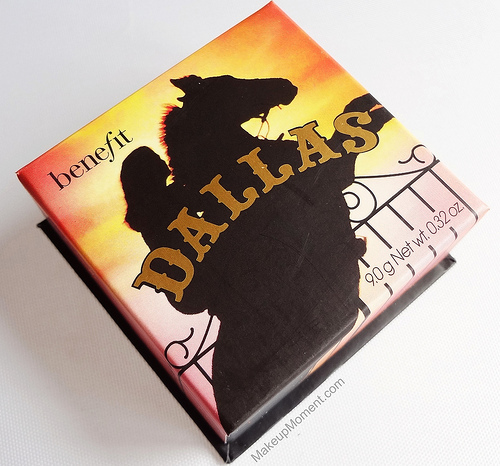 And thanks to Benefit's Dallas Face Powder ($28.00), I think I found a great contender! Dallas is a gorgeous shimmered, rosy bronze with a faint, plum undertone. It's not too warm, but not too cool either. It's a nice in-between. I don't believe I have a color quite like this one in my collection, so it's very refreshing to add Dallas to my blush/bronzer arsenal. First thing's first, I love Benefit's revamp of the original box packaging. These newer ones contain a handy mirror inside, as well as an application brush, and a magnetized closure. The box is bulky, but you gotta admit, it's pretty cute looking. I am such a sucker for packaging. I wasn't expecting this powder to have a fragrance to it, so imagine my surprise when I was introduced to a sweet, floral-like scent. It smells nice and I don't mind it too much, but I think I much prefer my face powders to be on the scent-less side. The texture of this powder is amazingly smooth. It doesn't take much effort to blend, at all. Pigmentation leaves nothing to be desired. The color is easily buildable. 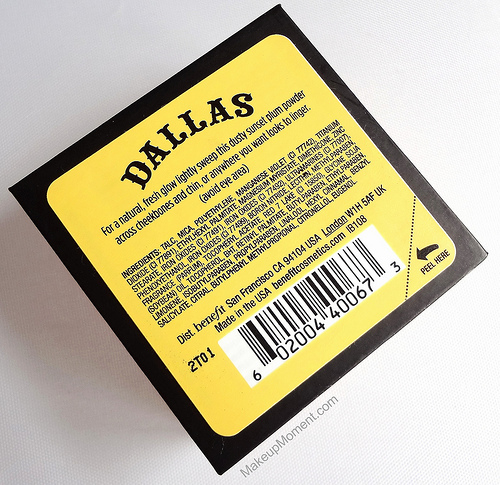 I like to apply Dallas on my cheekbones, temples, and anywhere else I want to bronze. This makes a lovely blush color as well. It's a nice shade to pop on the cheeks for those minimal makeup days. This is one of those products that is hard to overdo. The end result is always effortless and natural. Dallas does contain fine shimmers, but they aren't overbearing on the cheeks at all. They give the skin a light, luminous touch that's oh so pretty. I am happy to report that Dallas wears very well on my oily skin. It lasts for hours, and by the end of the day, it's still hanging on-no fading in sight! Overall: Honestly, the plum tone bit surprised me. It is the last color that I would associate with a bronzer. But somehow, that little plum touch totally works with Dallas. The merging of tones here, work beautifully together to create a natural looking blush/bronzer that doesn't overwhelm, but enhance. If you are looking for a blush/bronzer that is effortless and natural looking, Dallas is definitely worth a closer look. This is a great pick that I think will flatter all skin tones. What do you all think of Dallas? Which are your favorite winter bronzers? This color looks pretty, I wish I could find a color from them that would be awesome bronzer for contour for my deep skin tone. Give Dallas a try, Kimmy! You just may like it :) I also have Benefit's Hoola bronzer, and that one is nice for contouring as well! This is so gorgeous!! Lovely color!! It makes a beautiful blusher, Coco! totally off topic but I love your blog pics! you have a great cam! This product is great for contouring, Janine! It does not give off an orange hue on the skin at all. It looks so natural on! Hoola is definitely the best for contouring :) I love it so much.